best stories told in video game history. Our general rule with Review Round-Ups is that we at least need to have four reviews in a single month to have a recap of the past month. That didn't happen in the last month of 2013, so we've combined December of last year and January of this year into one Review Round-Up. December saw the reviews of Star Fox: Assault (8.0), Ys Seven (9.25), and Custom Robo (6.5). We started off the new year with two Nintendo 3DS titles, Mario Party: Island Tour and Castlevania: Lords of Shadow - Mirror of Fate, both receiving a 7.0 and a 7.5 respectively. 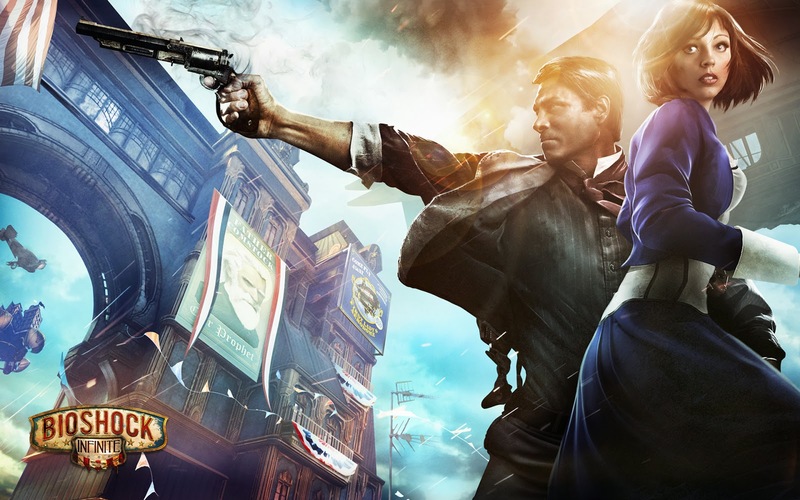 Our game of the month was BioShock Infinite, which bowled us over with its complex and cleverly written story and excellent gameplay. That's why we gave it a 9.5. Following that was a disappointing game, LEGO Marvel Super Heroes, which earned itself a 6.5. 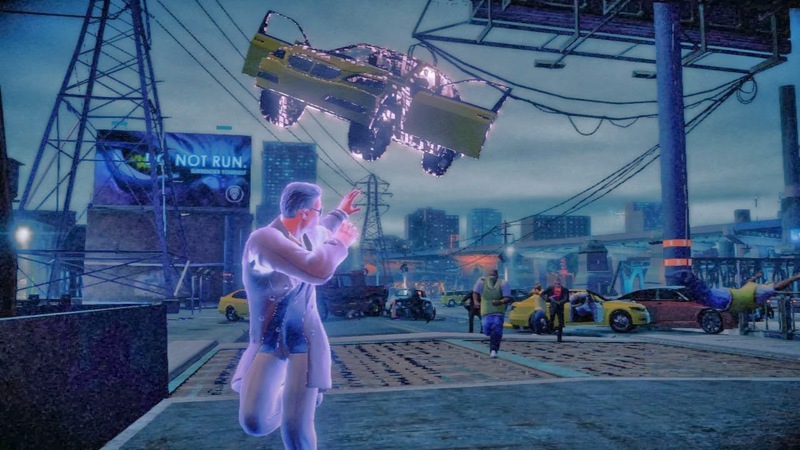 Then we returned to Steelport, but this time with superpowers in Saints Row IV (8.5). 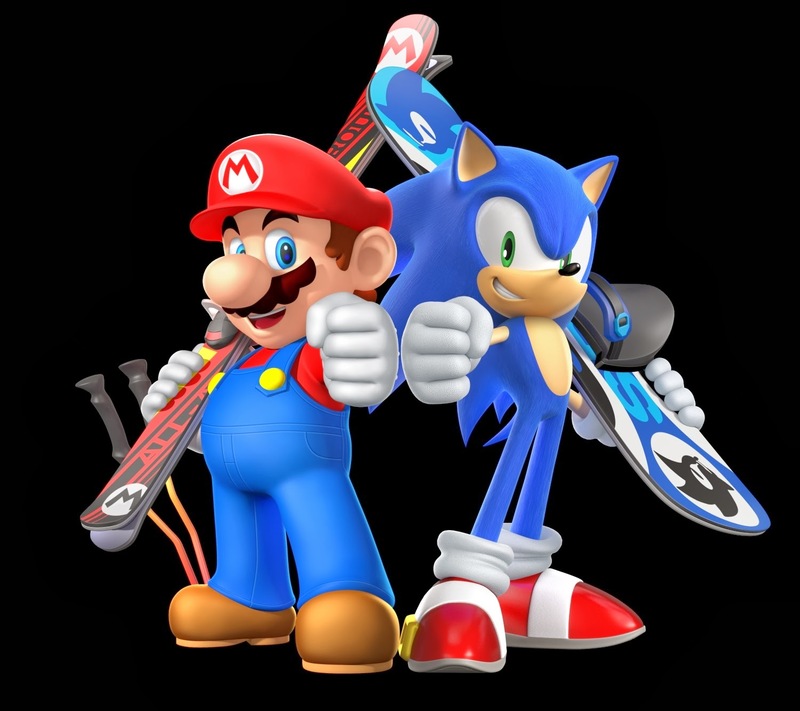 Finally, we had to rest for a moment after we said Mario & Sonic at the Sochi 2014 Olympic Winter Games in one breath. It's a long title, after all! Anyway, that final review of the month had an 8.0 score attached to it. It was a productive two months for SuperPhillip Central's review team, and we look forward to reviewing more games in February! What's a bigger force than the Saints? How about the Saints with superpowers? Welcome to the weekend here at SuperPhillip Central! To kick things off, we need to take a look at the results from the Central City Census of last month. Here was the question posed and the subsequent results! It's hard to be positive about the Wii U right now with it's historically low sales and total lack of third-party support. However, The majority opinion seems to think Nintendo can turn things around for the struggling system. A quarter of those who voted believe the system is beyond saving, which seems to be closer to the truth than most of us would like to admit. ...We're depressed now. On to February's poll! The PlayStation 4 and Xbox One have released to the masses. Now that the new systems have been out for a few months, which of the two do you own? Are you a North American who has no idea what's coming out soon? Maybe you do, and you just don't know which game(s) to pick. We at SuperPhillip Central have got you covered for releases for February 2014. There are quite a number of them that are more than worthy of your time, and we have briefly described each of them for your convenience. After you've perused our picks for the most interesting games of the month, let us know what you plan on buying, if anything. Hence our new title for this series of articles, "Whatcha Buyin'? ", obviously inspired by only the greatest character in Resident Evil history. Plus, it was getting hard to alliterate on each and every month's name! Many who have already been able to try out this first game on our list have called it a Final Fantasy that isn't named Final Fantasy. Everything from the art direction to the job system is very reminiscent of old school Final Fantasy games, particularly Final Fantasy V. The title, Bravely Default, refers to how combat works. With Default you can store battle points and then with Brave you can unleash multiple attacks in a single turn with a single character. 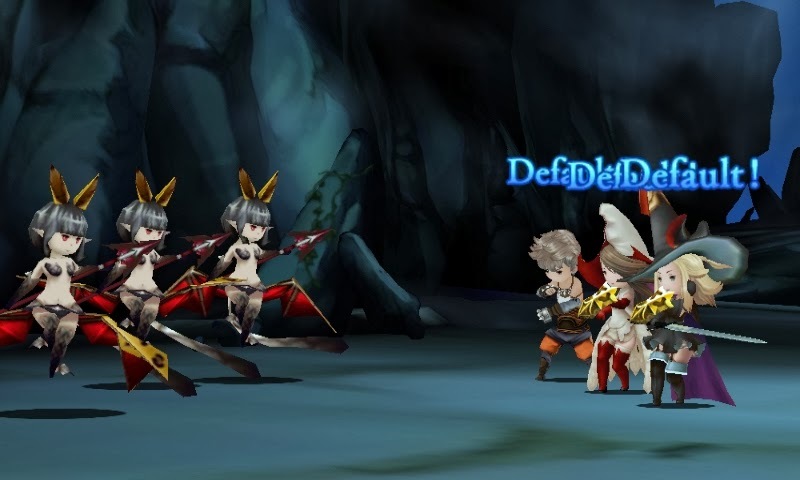 The release in North America is but a week away, and Bravely Default seems like another game for 3DS owners that will be hard to break away from. While we weren't too keen on LEGO Marvel Super Heroes, we will allow TT Games, the developer, one mulligan. 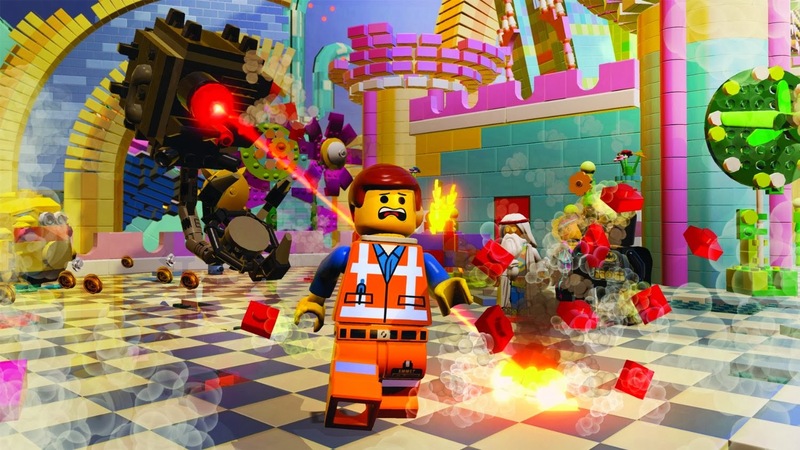 The LEGO Movie Videogame is releasing alongside the film, incorporating characters and settings from it. 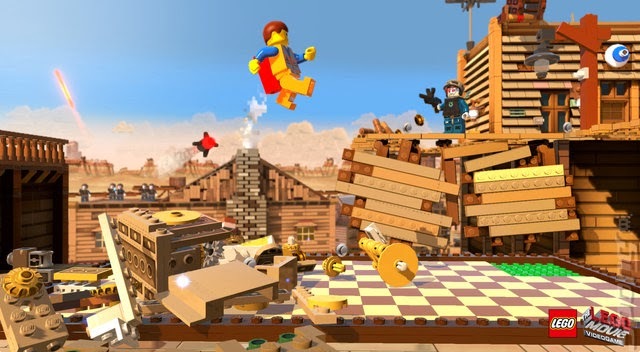 We're hoping the level of polish is far higher than what was seen in LEGO Marvel Super Heroes and more like what was seen in LEGO City Undercover. 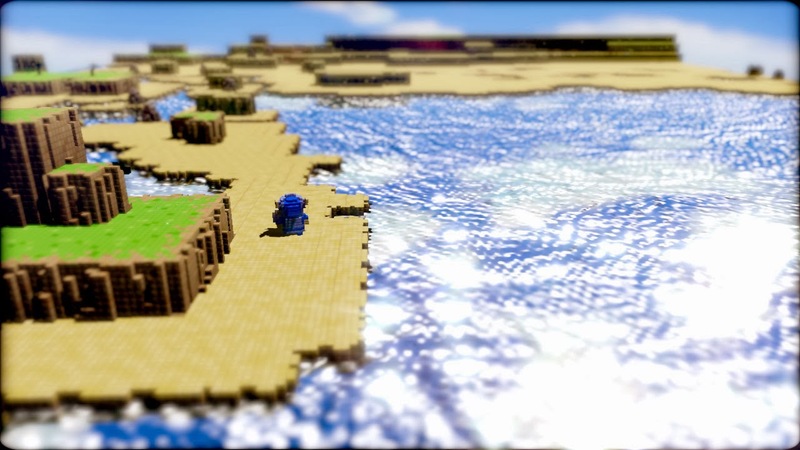 Regardless, The LEGO Movie Videogame should make a lot of younger players happy, and perhaps even some kids at heart. Japan surely cannot get enough battling with giant creatures a la Monster Hunter, and neither can we! 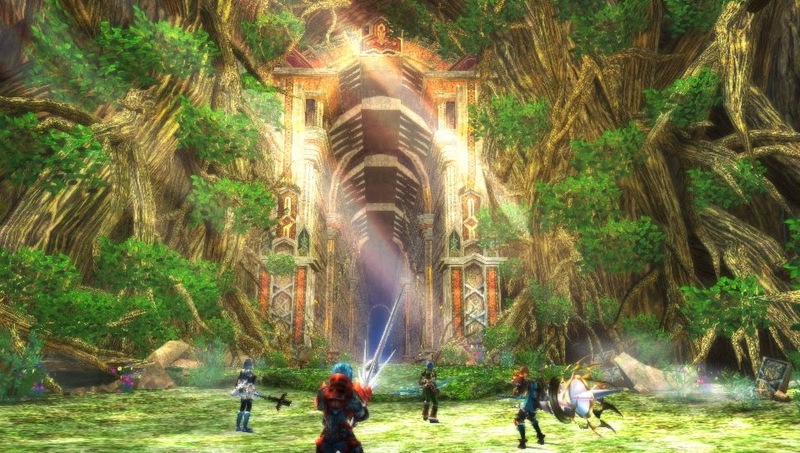 The original Ragnarok Odyssey released on the PlayStation Vita in late 2012. 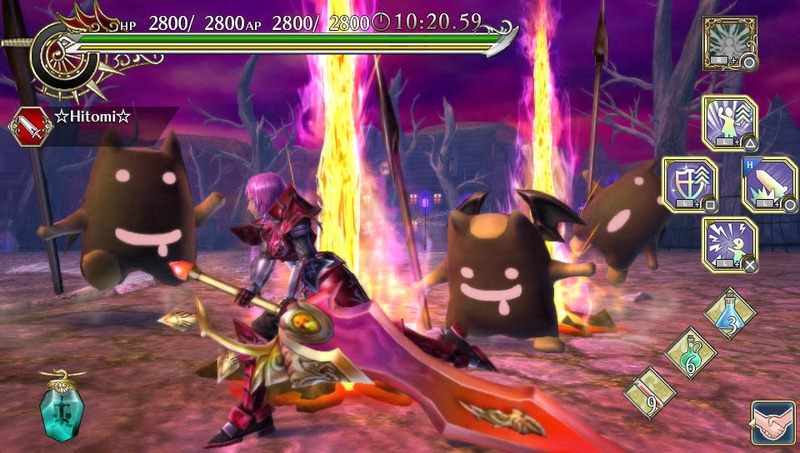 This upgraded version of the game, Ragnarok Odyssey Ace adds many improvements to the original such as new dungeons, enemies, and abilities, as well as it contains all of the DLC from the Vita game. This time around both PlayStation Vita and PlayStation 3 owners will have a chance to try out this new version, greatly expanding the potential user base of the game. 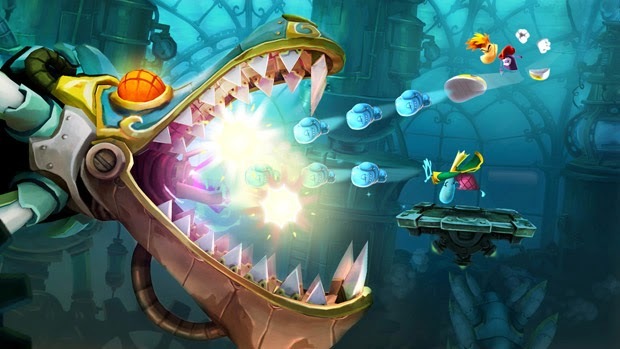 We remember a time when Rayman Legends was supposed to be a Wii U exclusive. For better or worse, the game was delayed by Ubisoft for porting to other platforms and released in the busy gaming month of September. 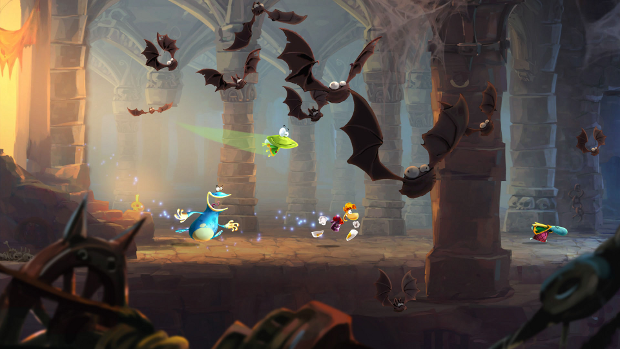 Sales were less than spectacular, even with being released on so many platforms, so it's no wonder why Ubisoft is porting Rayman Legends to every platform it can. The latest systems that will receive this excellent platformer are the PlayStation 4 and Xbox One. Here's hoping that owners of these two new systems will give Rayman Legends a chance if they haven't already. We can't really blame Retro Studios for choosing to make a new Donkey Kong Country game as opposed to another Metroid game. After all, Donkey Kong Country Returns greatly outsold each Metroid title the studio had previously created. 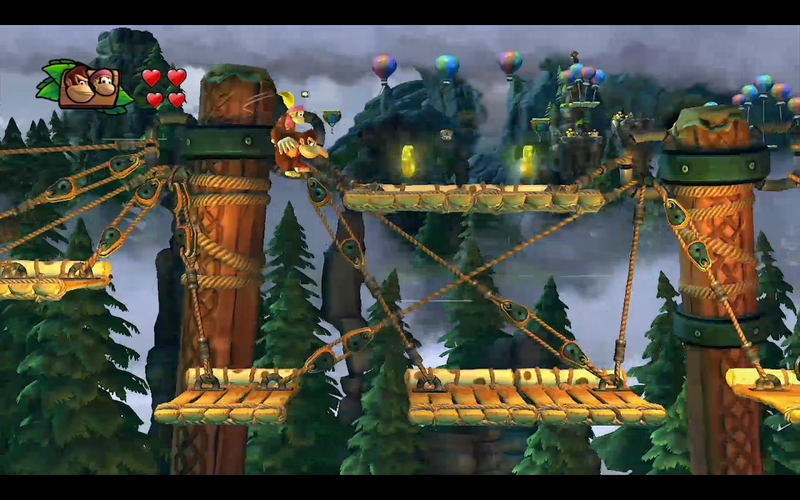 Regardless, Donkey Kong Country: Tropical Freeze is another 2D platformer on the platformer-heavy Wii U. 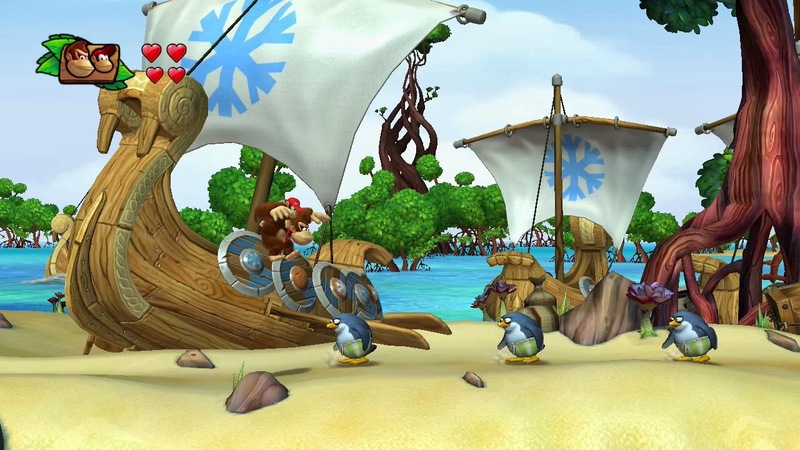 Offering four Kongs working together to retake DK Island, Tropical Freeze already looks like it's going to be a phenomenal platformer with stellar level design. Plus, how can you say no to a soundtrack from the great Dave Wise? Can you believe this is the 42nd entry in the Castlevania series? We can't believe it either because it's actually the 35th. Still impressive, though. 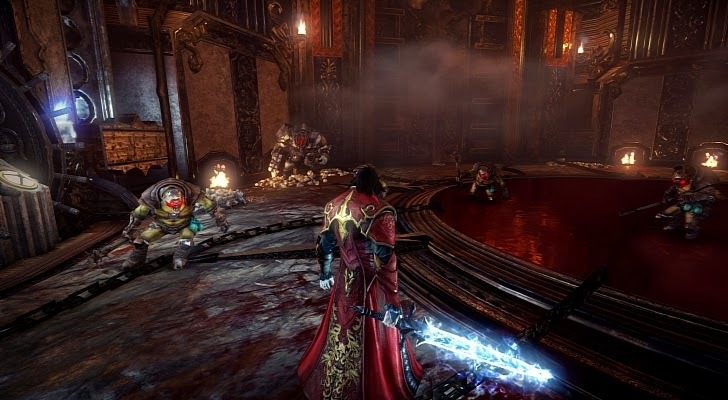 MercurySteam works its wonders on Castlevania: Lords of Shadow 2, a game that is much more open than its 2010 predecessor. The story follows Gabriel Belmont, aka Dracula, as he is warned that Satan is set to return. Thus, he must gain new power while watching out for the Belmont clan who want him dead. 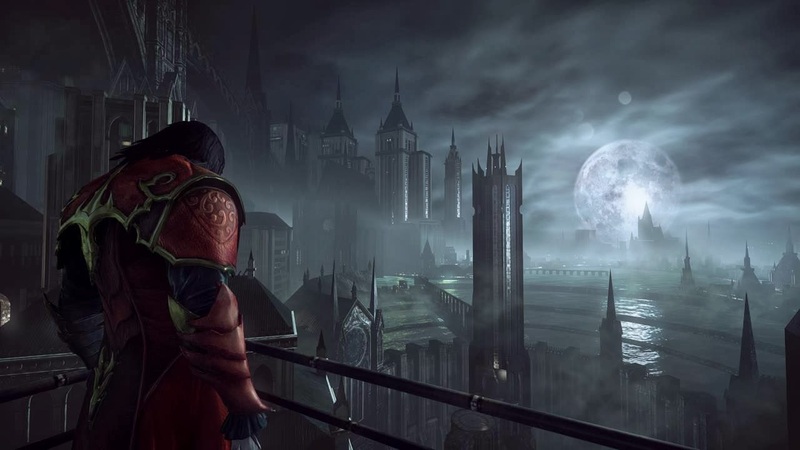 Castlevania: Lords of Shadow 2 is set to be the final Castlevania-related project MercurySteam is working on, so let's hope they end their time with the series on a high note. We'll find out when the game comes out near the end of February on the 25th. 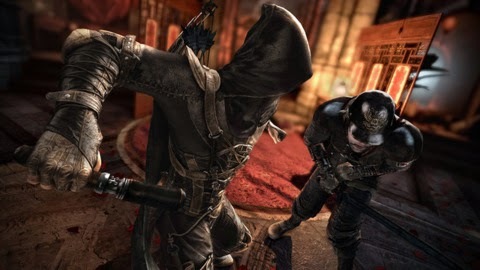 If you've been missing the Thief series, well then we have good news for you. The reboot of the acclaimed stealth series is coming out February 25. We're noticing that this date is quite busy game release-wise! Anyway, the fourth installment of the series, simply titled Thief, has players assuming the role of Garret, a man who wishes to steal from the rich and will do so through any means necessary. 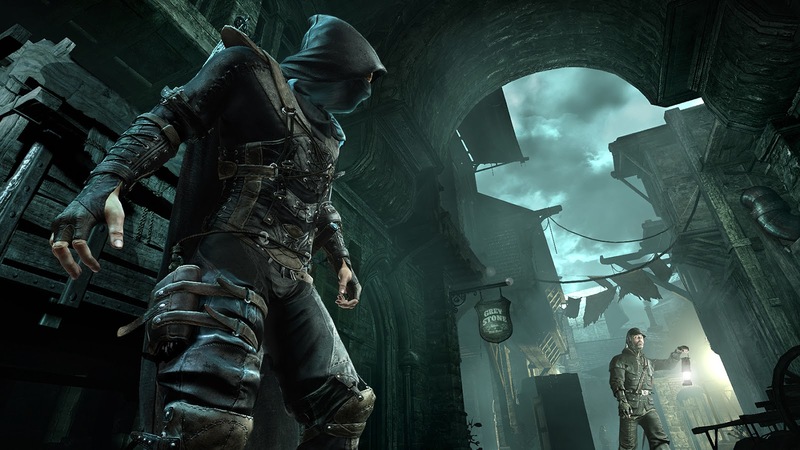 Featuring smart AI, one that knows the lay of the land well enough to find Garret in well known hiding spots, Thief is going to a dream of a stealth game for fans of the genre. 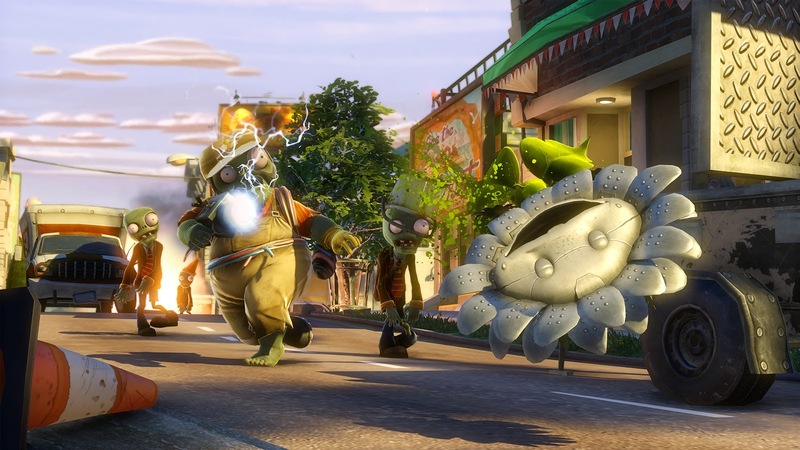 The upcoming Plants vs. Zombies: Garden Warfare is a multiplayer-only title developed by PopCap Games. Up to 24 players can duke it out, taking on one another or playing cooperatively. 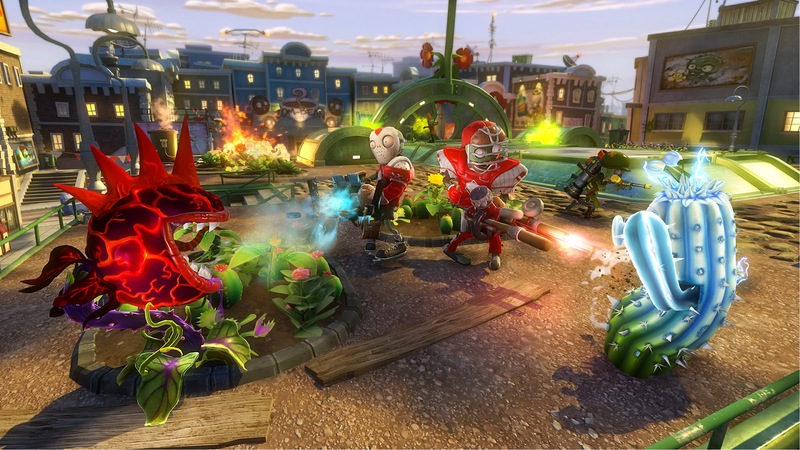 Both plants as well as zombies can be controlled. While we're bummed that you always have to have another player to enjoy the game, Garden Warfare looks to be a fun time for all ages. The game releases February 25 on Xbox One and Xbox 360 with PC and PlayStation 3 versions releasing sometime later. 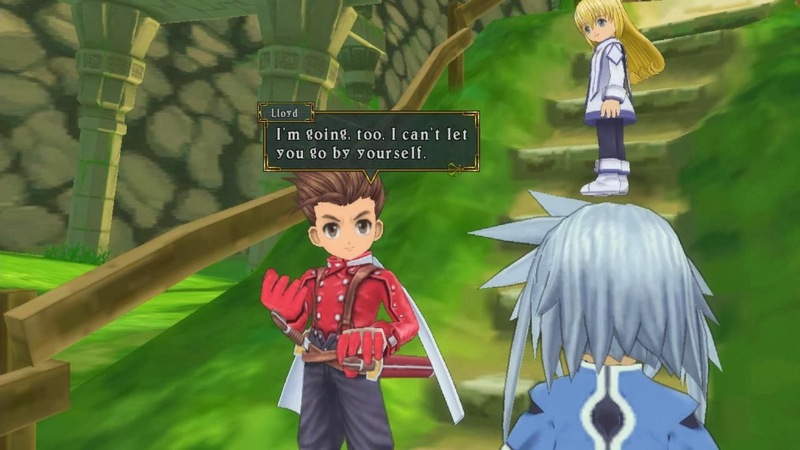 Tales of Symphonia originally released on the GameCube as an exclusive for the system, at least in the West. 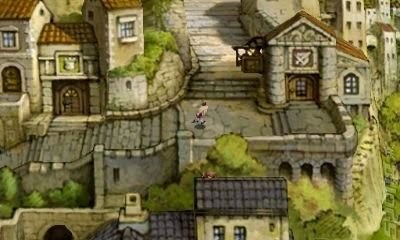 In Japan, the game later released on the PlayStation 2. We welcome the chance to replay the game through Tales of Symphonia Chronicles, an HD collection of both the original Symphonia (though this collection uses the PS2 version) and the Wii exclusive, Tales of Symphonia: Dawn of the New World. 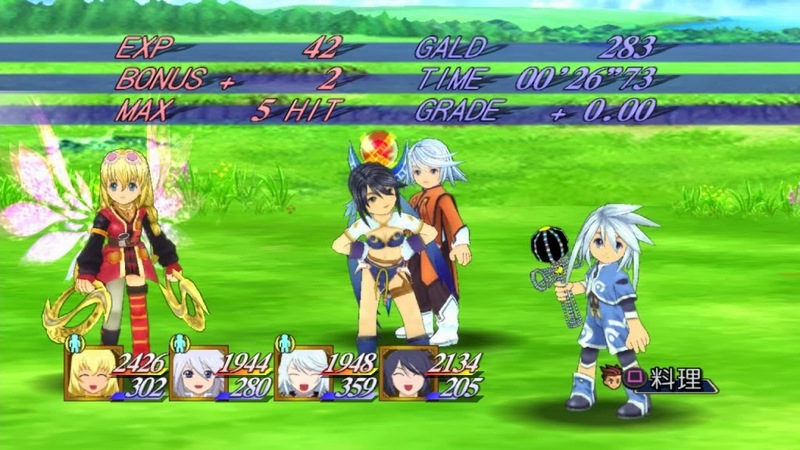 With additions like new costumes and the upgraded visuals, we're ready to sink our collective teeth back into the world of Tales of Symphonia. 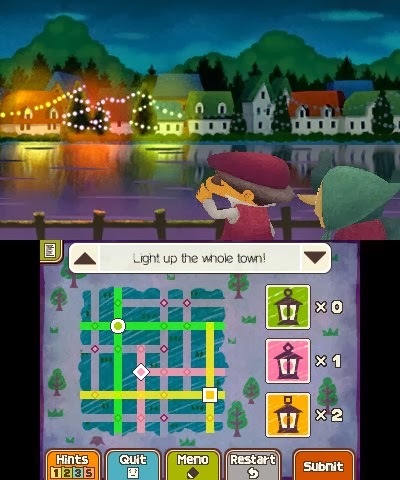 The final entry starring Professor Layton himself, Professor Layton and the Azran Legacy is the second iteration of the series on the Nintendo 3DS. The sixth installment features the same and welcomed formula of past games, a story told through chapters with progress coming from solving brain-bending puzzles. Hint coins, found by tapping around game backgrounds, allow players to get clues on the solution to puzzles, but even then, you better have your thinking cap on if the previous games' puzzles are anything to go by. 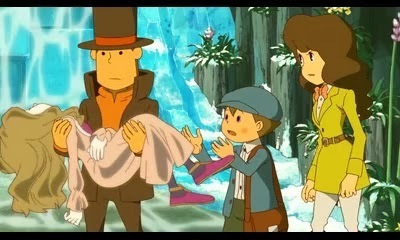 Professor Layton and the Azran Legacy is the final big release of the month of February, releasing 2/28. The 2014 Olympic Winter Games are going to begin in less than two weeks in Sochi, Russia. 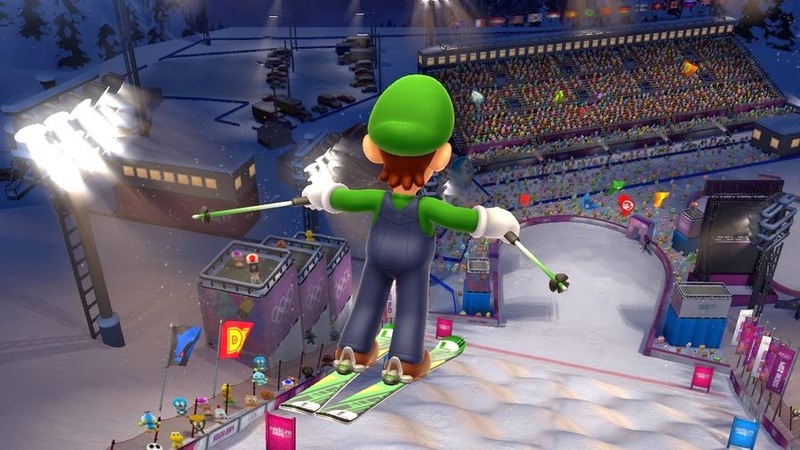 For all the controversy and potential threats that location contains, the Sochi, Russia in Mario & Sonic at the Sochi 2014 Olympic Winter Games, the subject of our latest review, is a far more forgiving place. Here's our review. Take a bow while you're at it, Mario. Like past Mario & Sonic games, there's a nice number of events to be enjoyed by your lonesome or with friends and family. They're categorized as either Olympic or Dream events. 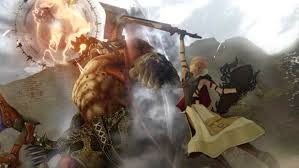 The former events follow the general rules of their real life counterparts, with some fine-tuning to make them accessible for all players. That isn't to say they've been dumbed down; achieving new records and beating the AI is rather tough if you haven't fully mastered a particular event. 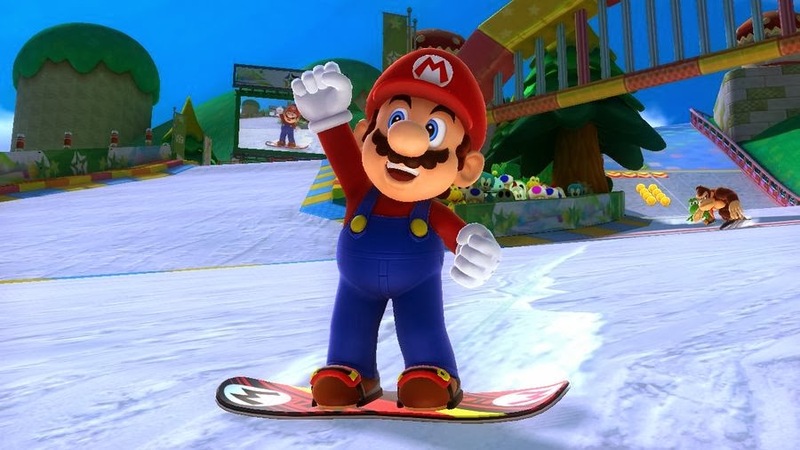 From skiing down an alpine slope to surviving the death-defying Skeleton, to performing a colossal ski jump for the highest score, to participating in the all-new Biathalon (a mix of long distance skiing and target shooting), Mario & Sonic offers plenty of event variety to engage and entertain players. The all-new Biathalon is an endurance race! Dream events are fantasy events that could not be done in real life. These are things like riding a bobsleigh down a roller coaster-style track, playing a game of golf while riding on a giant curling stone, snowboarding down the colorful setting of Mario Kart: Double Dash's Mushroom Bridge, become a part in an extravagant three act figure skating show, or participating in a race where as you pass through specially marked gates, your means of racing changes (i.e. going from using a snowboard to skis). The Dream events are very fun, so I was a bit disappointed that the number of them wasn't larger than I was expecting. 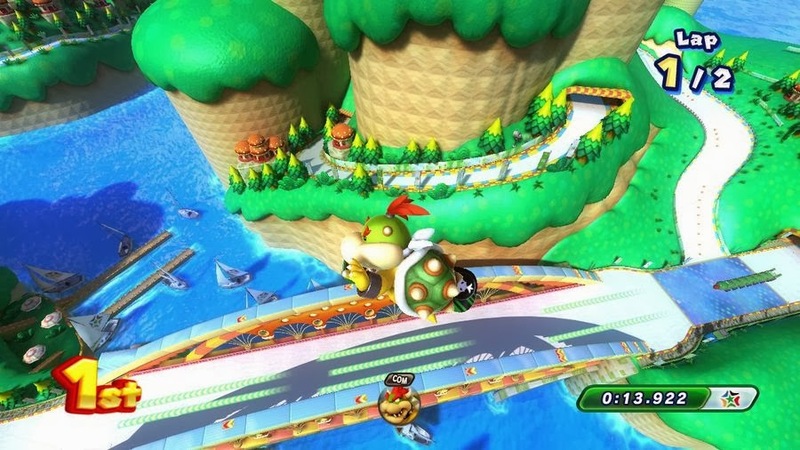 Bowser Jr.'s got big air! Seeing as the Wii U currently only allows one GamePad to be used per system, there's a discrepancy in how the various events are played between players. For events that can use the GamePad, it always goes to player one. Everyone else is required to use the Wii Remote Plus. This can become problematic if you have a bunch of kids each wanting to play with the GamePad. Regardless, this is the first Mario & Sonic title to fully incorporate MotionPlus technology, and this Wii U iteration is better for it. Gestures are read more easily, but some events still feature movements that the remote cannot track successfully 100% of the time. Take Figure Skating, for example. In order to do the Step action, the game tells you to move the remote as if it were a conductor's baton. However, all you really need to do is give the Wii Remote Plus a shake, as if you were hitting a drum. Sometimes a gesture isn't even read, such as in Freestyle Skiing Moguls, a new event in the series, where launching off a ramp and flicking the Wii Remote Plus to make a high leap from it doesn't always work. 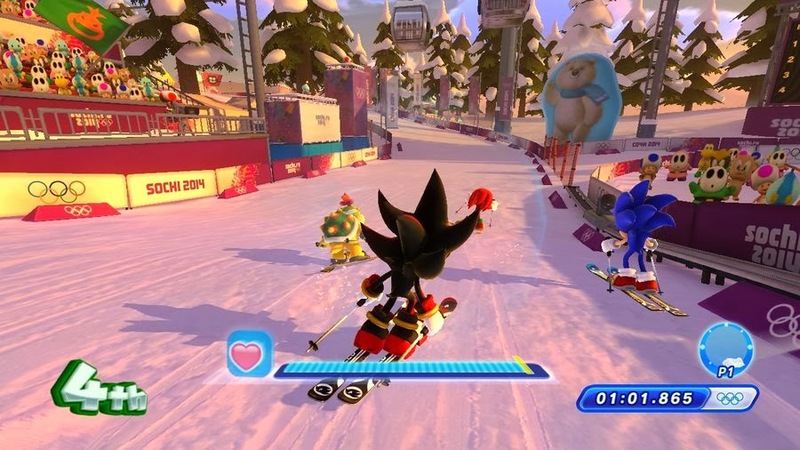 From something that doesn't always work to something that just doesn't work in general, the added modes of this Sochi 2014 edition of the Mario & Sonic Olympic series feel as if development time was wasted on them. 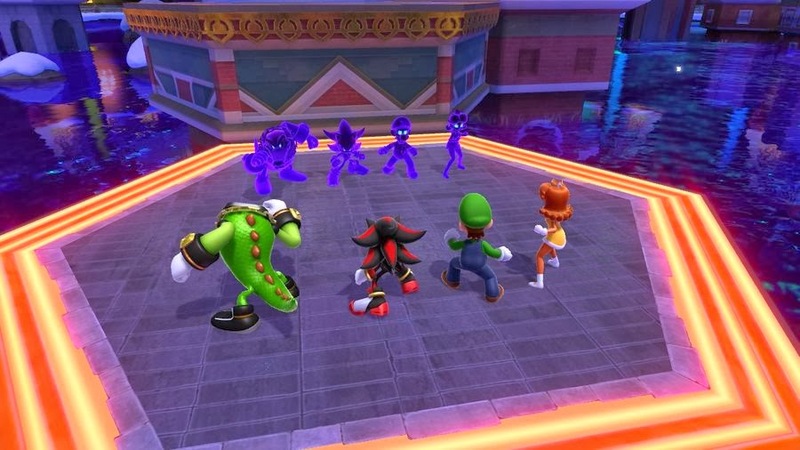 For one, there's Legends Showdown, a single player mode that has you playing as five different teams of four, progressing through multiple events against AI clones of your characters. Each tower (set of events) concludes with an event against a boss, such as Birdo from the Super Mario series or Omega from the Sonic series. The main aim of this mode is to complete all the events, but this takes so little time to do so that Legends Showdown is short lived. Even getting all of the A+ scores for each set of events is relatively easy, and once that is done, there's really no reason to return to this mode. in the short lived Legends Showdown. However, by far the stinker of the new modes is the Action & Answer Tour. Made up of multiple rounds where you compete in altered (see: worse) versions of Olympic events, the goal here is to win the most points by the conclusion of all rounds. This is done by properly answering questions asked at the end of each round. 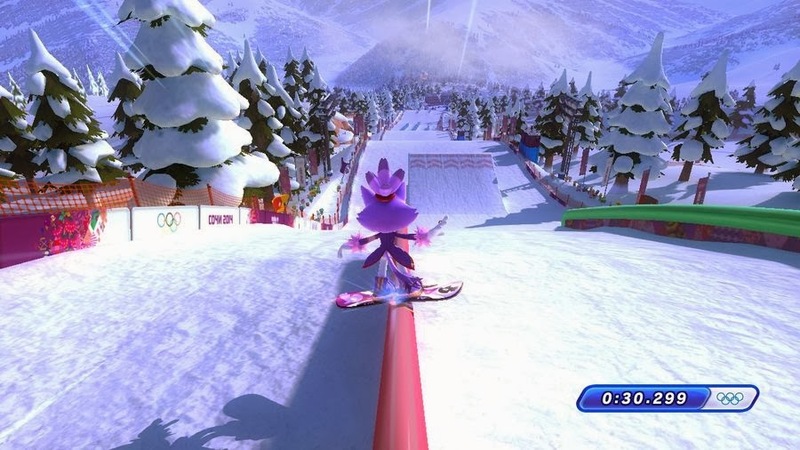 For instance, one event has you snowboarding down the slopes, requiring you to be observant of the character that is standing on one platform on either side of the course. At the end of the race, you need to go through the correct gate that corresponds with that character to earn points. or else you won't nail this grind! That's one of the fun ones, and let me just say there is a minute number of ones that are actually fun. If that doesn't sound exciting, then there's the luck-based aspects of the mode, where in the final round the event might be worth 30 points. It doesn't matter if you're a comfortable first, because one loss could mean that your opponent leapfrogs over you to win the entire game. Action & Answer Tour is one of the most idiotic modes in a Mario & Sonic game to date. Okay, okay. It's the most idiotic mode in a Mario & Sonic game, and coming off London Party in the last game, it significantly disappoints. 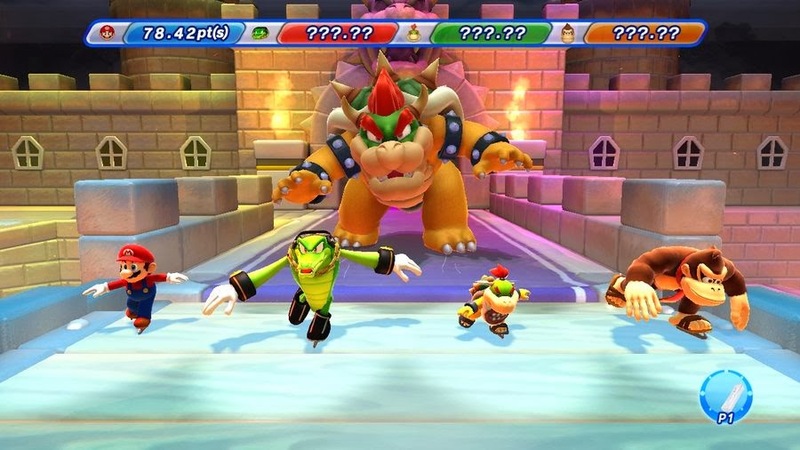 A portion of Mario's Figure Skating Spectacular. 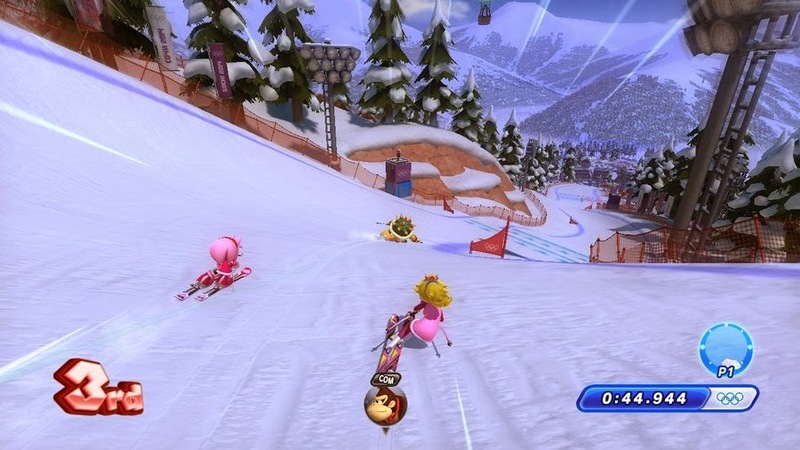 What doesn't disappoint, though, is the great amount of replay value Mario & Sonic's Sochi outing gives players. Well, that is if you think collecting new gear, outerwear, and costumes of Mario and Sonic characters appeals to you. There are 248 individual challenges to complete. 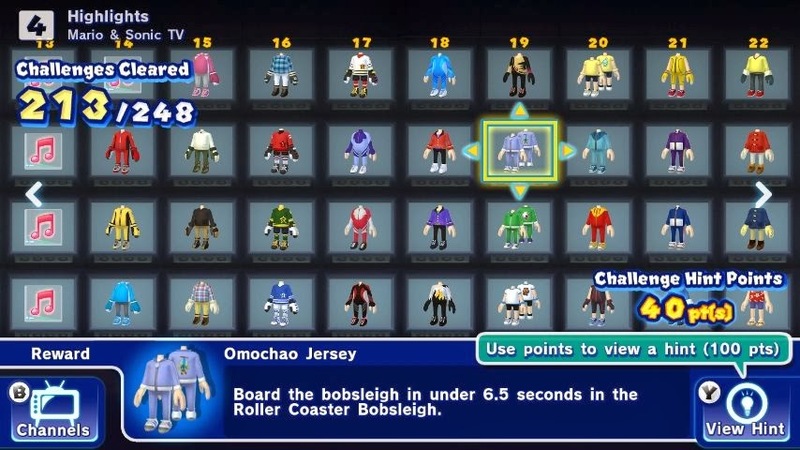 These require you to board a bobsleigh in under six seconds, hit opponents with a certain number of snowballs in the Dream event Snowball Scrimmage, earn a perfect boost a set number of times in Snowboard Cross, or even small things like uploading your results to the net. I've played Sochi 2014 over 20 hours now, and I've still not completed every challenge-- though I'm close! full screen of unlocked goodies. Outside of posting your best times and ghosts online, for the first time in the Mario & Sonic series online multiplayer is an option. Unfortunately, this is narrowed down to a paltry four event types. Perhaps that is a blessing, as it's difficult to always find opponents, much less ONE opponent. It would be much harder to find someone if you had more events to choose from. Still, Miiverse is an option for setting up online multiplayer sessions. Put your body into it, Peach! The Wii U debut of Mario & Sonic is a technical showcase. It's one of the better looking Wii U games with totally amazing character models, lighting, and background assets. The frame-rate seldom lowers, as it usually stays locked rock solid. 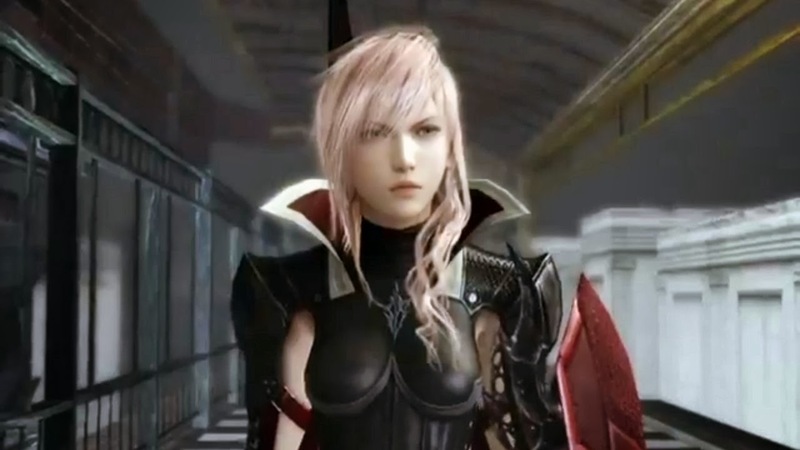 Sound-wise, many (if not all) voice clips from the cast have been reused from previous games, as is some of the remixes. That said, the new content music-wise is simply put, splendid. Hearing remixes of Sonic 3D Blast's Diamond Dust Zone, Mario Kart 64's Sherbet Land, Sonic Rush Adventure's Blizzard Peaks, and a medley of remixed Super Mario Land themes made me giddy as a fan of both franchises. You can put down Mario & Sonic's latest as "just another mini-game collection", but I'll be darned and fight you until you cry if you say the presentation of the game was phoned in. for him to take his face off. 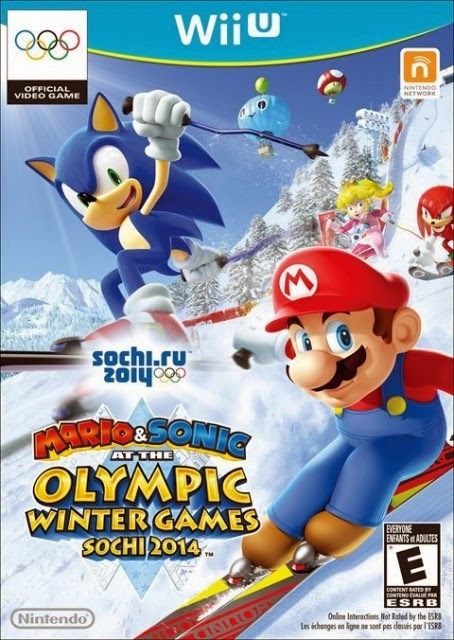 Mario & Sonic at the Sochi 2014 Olympic Winter Games is one of the better games in the biannual series of character-driven Olympic titles. Its presentation is top-notch, the majority of events (particularly the wacky Dream variety) are a blast to play and continually try to get better at and master, and there's replay value there in the form of challenges for those who want it. I did not expect to enjoy this game as much as I did, and with some alterations (better solo modes, no Action & Answer Tour, enhanced online), Nintendo and SEGA's next offering could be absolutely sensational. 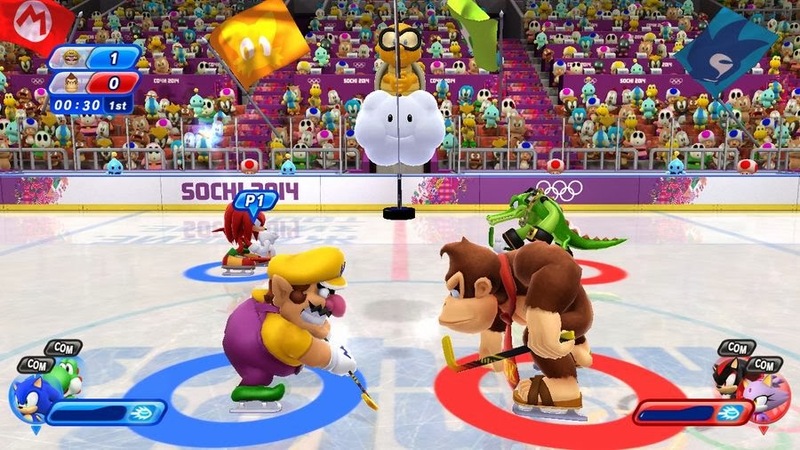 For now, Mario & Sonic at the Sochi 2014 Olympic Winter Games will have to settle with the silver medal. Released last August, but just hitting Japan this past week, Saints Row IV is the latest in the series that started out as Grand Theft Auto Lite. Now, the series has come into its own, and this time the Saints have not only executive powers but superpowers as well. Here's our review of Saints Row IV. 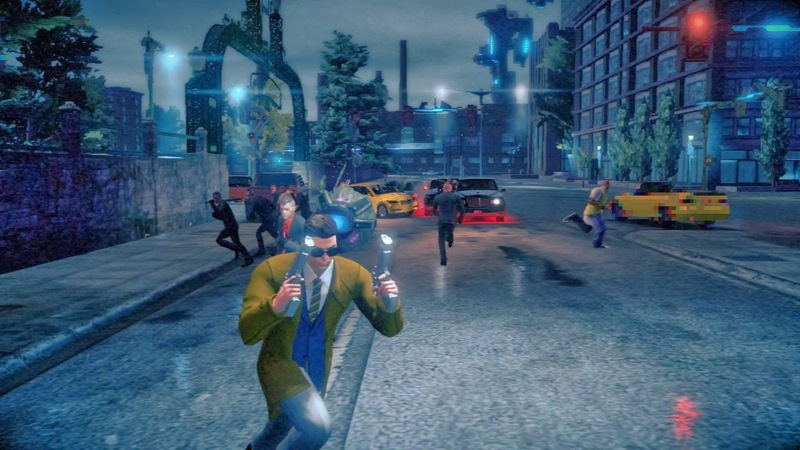 Saints Row: The Third made plenty of steps to ensure that the series would step away from trying to become another Grand Theft Auto clone, which the game's previous two titles had been heavily compared to. Saints Row IV takes the craziness switch and pulls it into uncharted territory! 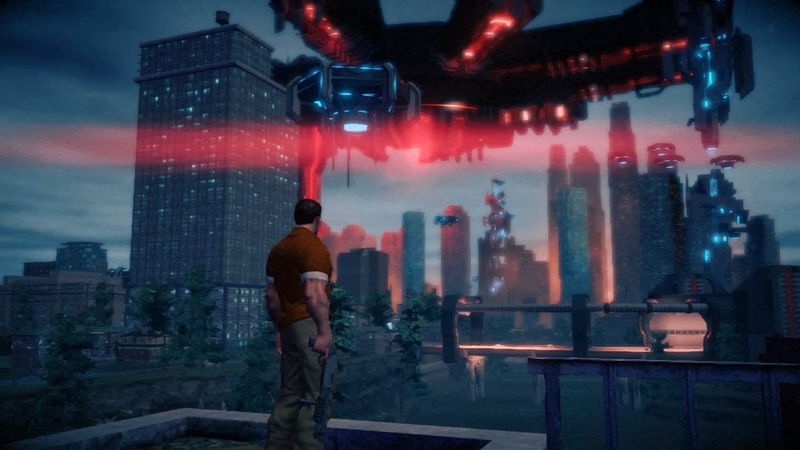 With superpowers and a load of kooky missions, Saints Row IV is an open world game that feels more like Crackdown than Grand Theft Auto, and it's hard to deny that this change is good. 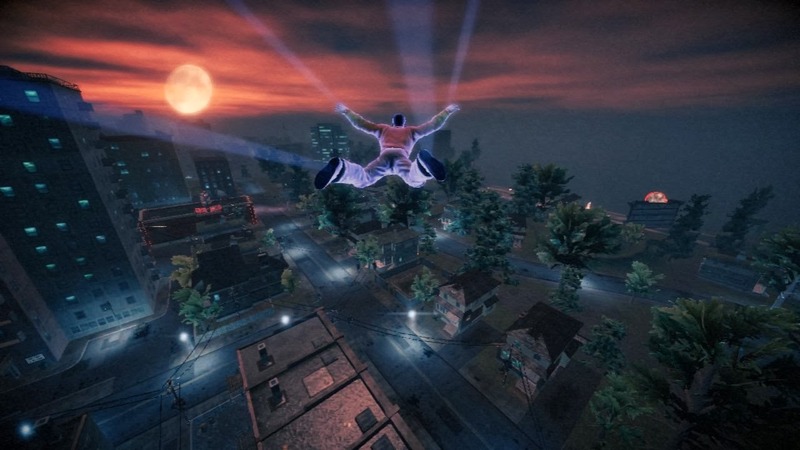 Beginning with a mission that ends with you riding a warhead into the night sky, trying to dismantle it, while Aerosmith's "I Don't Want to Miss a Thing" plays, Saints Row IV lays on the wackiness quite earlier. What follows five years later is info that the Saints have made it into the White House. 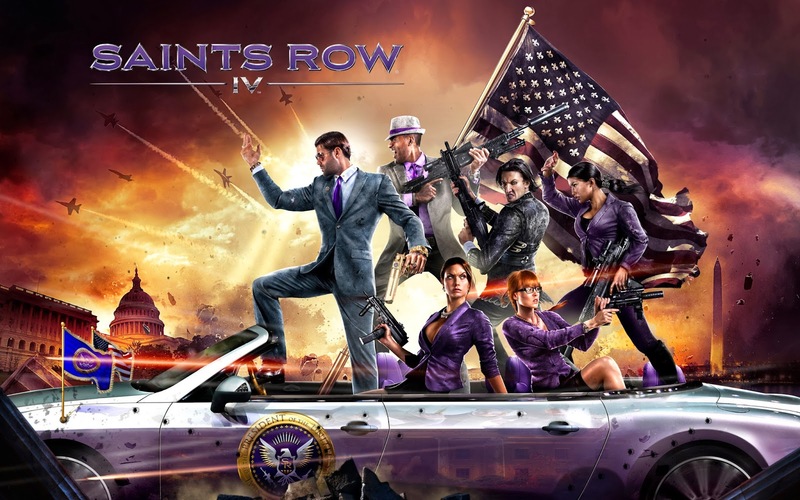 The boss, the once silent and stoic main character from the original Saints Row, serves as President, and his cabinet-- rather your cabinet-- is made up of members from the Saints gang. Suddenly, during a press conference, an alien race known as the Zin invades the Earth and sends your character into a virtual simulation exactly like Steelport from the third game. However, this Steelport has depictions of the Zin leader Zinyak plastered all over, as well as signs mentioning the Saints' doom and futility of their actions. Steelport sure is looking different these days. The humor of Saints Row IV is always there, and that is due to some incredible writing. Sure, some of it is quite juvenile and dirty, but I couldn't help but laugh or have a stupid smile on my face playing the game regardless. How can you not laugh at real life actor Keith David serving on your cabinet? How about a scenario where you're riding in a car with Pierce and you both start singing to Biz Markie's "Just a Friend", only to become very pissed off when the always-watching antagonist Zinyak starts singing along to the rap song's chorus as if it were opera. Then there's having a voice for male characters literally titled "Nolan North", perhaps poking fun at Western studios putting his voice in nearly every game imaginable (some exaggeration may be present in the last statement). Case in point, Saints Row IV does not take itself seriously whatsoever, and that is without a doubt a good thing. Because just having one gun is for bustas. The humor and whimsy of Saints Row IV doesn't end with the writing, either. The story-related missions of the game, of which there are around 35, take you on a trip through sheer madness. 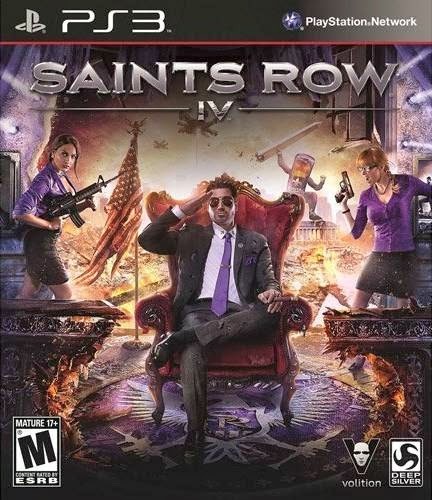 From participating in a parody of Metal Gear Solid, complete with the infamous guard alert noise and hiding inside cardboard boxes, to fighting in a stone statue against a giant can of soda named Paul, Saints Row IV shows that the developers want players to have fun and they made a game that shows they had a lot of fun making it as well. After all, shouldn't fun be the most important part of a video game? The fun factor is accentuated by the powers that you acquire through these missions in a way to hack the simulation and help bend it towards your will. Doing this enables various upgrade-able superpowers for your character to use. Early powers include the ability to leap high into the air, run at blazing fast speed, and freeze enemies temporarily, allowing enough time to shatter their frozen bodies. By collecting Clusters, scattered all around the simulated Steelport, you can upgrade these powers to allow for faster recharging, more stamina to use for running, among other things. Your character can have his or her abilities upgraded as well, whether that's immunity to fire, higher ammo capacity for the game's different guns, and much more. which makes it difficult to want to drive. The weapons of Saints Row IV are definitely otherworldly. What else can you say about a gun that launches black holes, sucking in nearby characters and objects, as well as a gun that emits a light that abducts whoever walks into it? These weapons are amazingly fun to use, though combat in general can sometimes get a bit repetitive, even with the superpowers involved. Like the superpowers and your character, weapons can be upgraded, also. 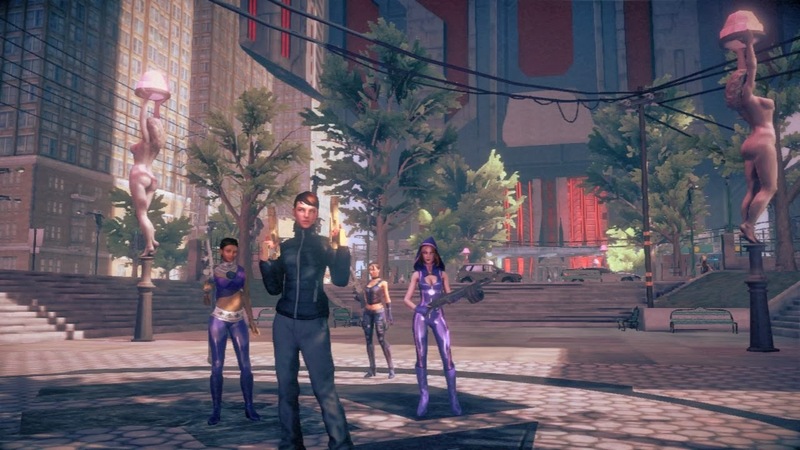 Outside of Saints Row IV's story missions, the series' activities return, too. Standbys like Fraud and Mayhem return. Fraud has you making your body limp in front of cars, in hopes that they run into you, hurling your body into the air for points, while Mayhem requires you to cause a certain dollar amount of pure damage, whether it's with a tank, a UFO, robot armor, or just yourself. Talk about a mech assault! New activities have been included to make great use of your character's superpowers. One has you racing through the city streets, jumping on rooftops and speeding through alleyways from waypoint to waypoint. Another has you using your Telekinesis to pick up cars and people, and throwing them through the designated rings. Then there's fighting inside an arena, trying to kill your opponents before time runs out. All of these new activities in addition to new takes on classic ones and optional objectives like collecting all of the Clusters and audio logs, as well as destroying all Zinyak statues have it so this simulated version of Steelport has a large amount of things to do long after the credits have rolled. 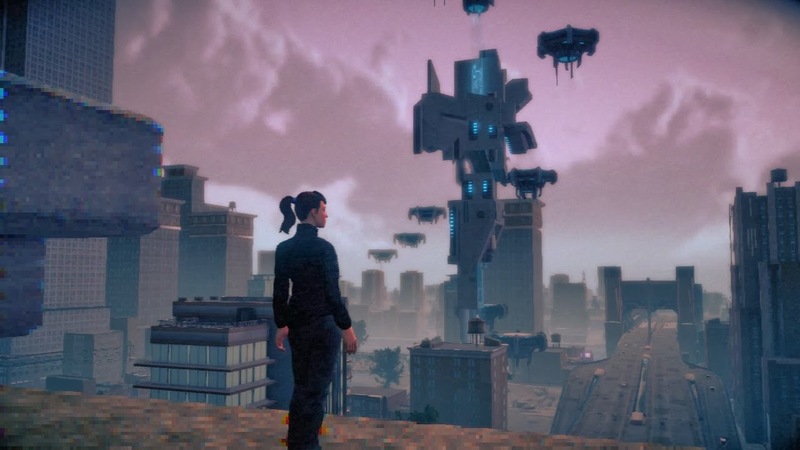 Steelport itself wasn't that memorable of an open world area in Saints Row: The Third, so it is a bit disappointing that Volition, the developer, decided to reuse it for Saints Row IV. This also makes it so Saints Row IV feels more like an expansion of Saints Row: The Third rather than a wholly original and fresh take on the series. is traverse these tall towers. Saints Row IV generally runs well, but there are occasional hiccups in the framerate, massive amounts of pop-in, and even some freezing that soil the experience slightly. 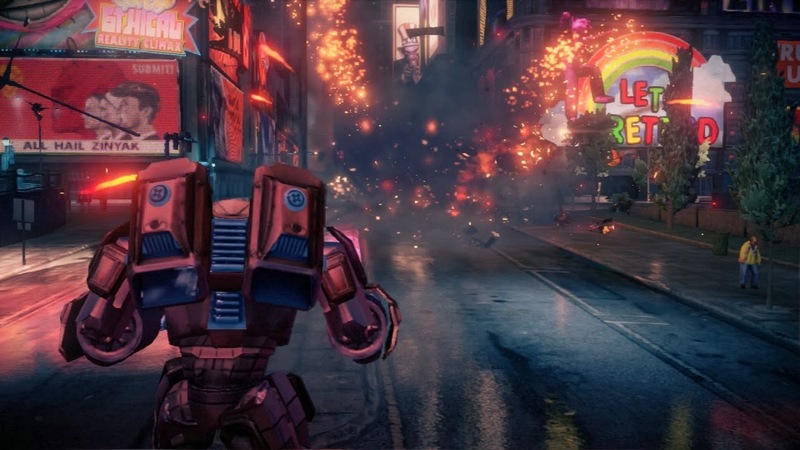 Other than those issues, Saints Row IV plays admirably. When pertaining to sound, Saints Row IV hits all of the high notes with superb voice acting and a licensed soundtrack that spans 109 songs. From classical to alternative rock, there's most likely a station for any given player. I particularly found The Mix to be my personal favorite. You can even create a mixtape of selected songs you have chosen and hear them while moving around Steelport-- in and out of vehicles. Always help out your homies. 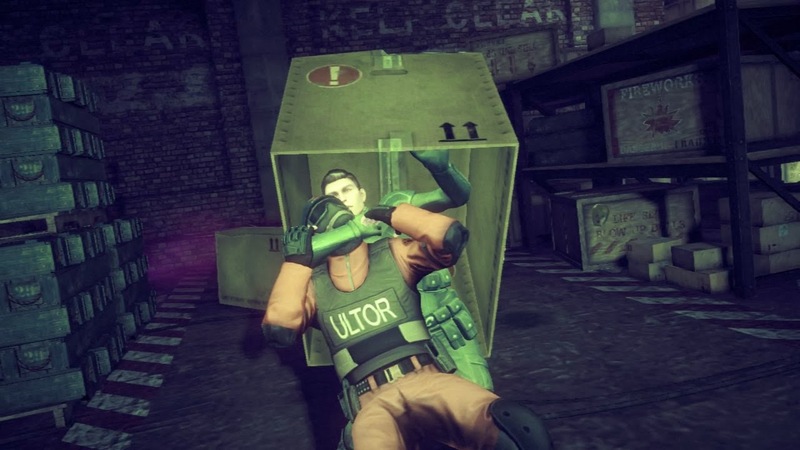 Saints Row IV was pure fun and hilarity from beginning to end. While many games, particularly from the West, take themselves overly seriously to the point of near self-parody, Saints Row IV doesn't pretend it is anything but a game. It might not push the art form of gaming forward, or even make an actual argument for it, but it's hard to deny that you won't find an open world game as zany and insane from any developer. It's with this that makes me ready to see where the Saints will go next. Welcome to the start of SuperPhillip Central's work week! As is customary around these parts, we have SuperPhillip Central's Favorite VGMs to share with our readers. If you like video game music as much as us, you're sure to enjoy the songs we have this week. Such titles included this edition are Secret of Mana, 3D Dot Game Heroes, and Persona! 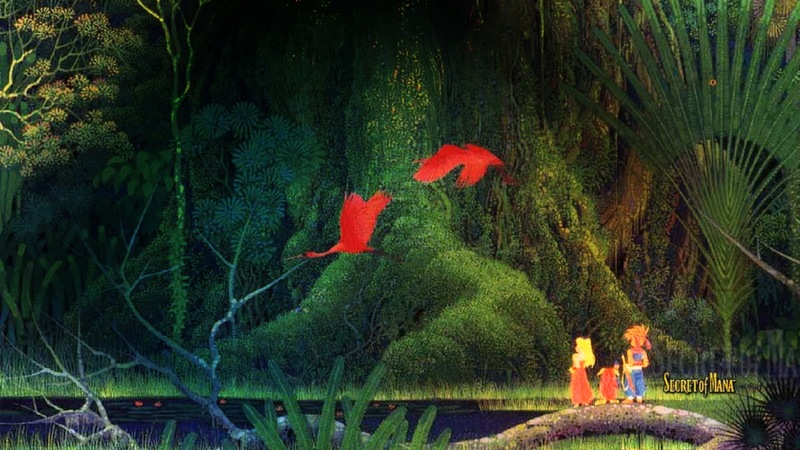 We kick off this edition of the Favorite VGM with a Super Nintendo classic, Secret of Mana. This game was released at the start of Squaresoft's golden age, where they kept releasing quality product after quality product. The music of the game fills us with such warmth, and perhaps that's nostalgia talking. Regardless, there's no questioning the greatness of this composition. 3D Dot Game Heroes is a very retro-inspired Zelda-like for the PlayStation 3 that had all the old school charm one would expect. The music combined classic 8-bit sounds with more modern instruments to create a soundtrack that is still quite unlike anything else out there. 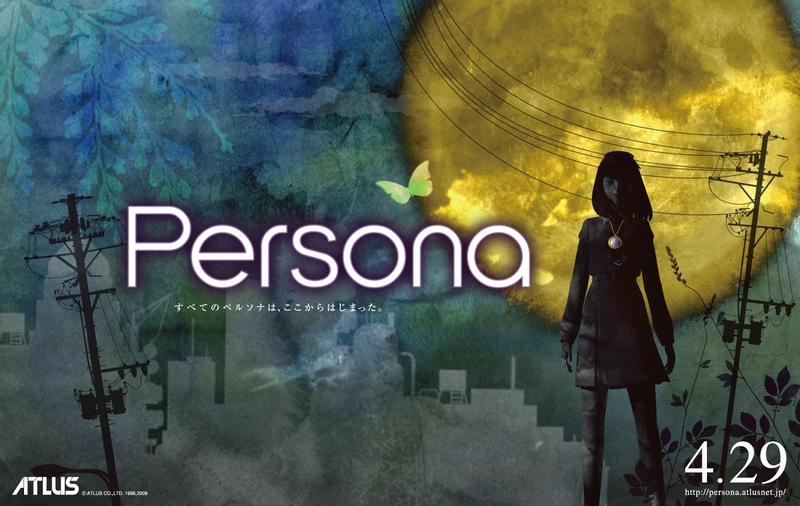 An overworld theme from the PSP port of Persona, Let Butterflies Spread Until the Dawn is a vocal pop song fitting for the urban world players explore in Persona. The series itself has had a lot of installments on PlayStation platforms, but Nintendo 3DS owners will have a chance, at least in Japan, to try out a spin-off in the form of Persona Q. Green Lands is a very Asian-centric sounding piece. The pan flute plays the melody as the accompaniment backs it up with lovely harmony. 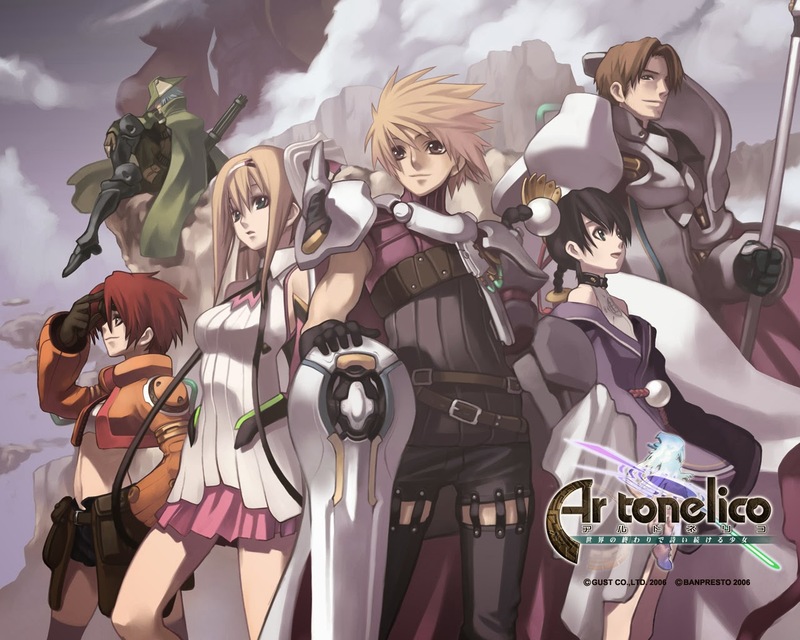 Ar Tonelico is as niche as you can get, at least here in the West. Still, if you haven't checked out the Ar Tonelico series, definitely do so! Let's go REALLY retro with this last VGM of this edition. 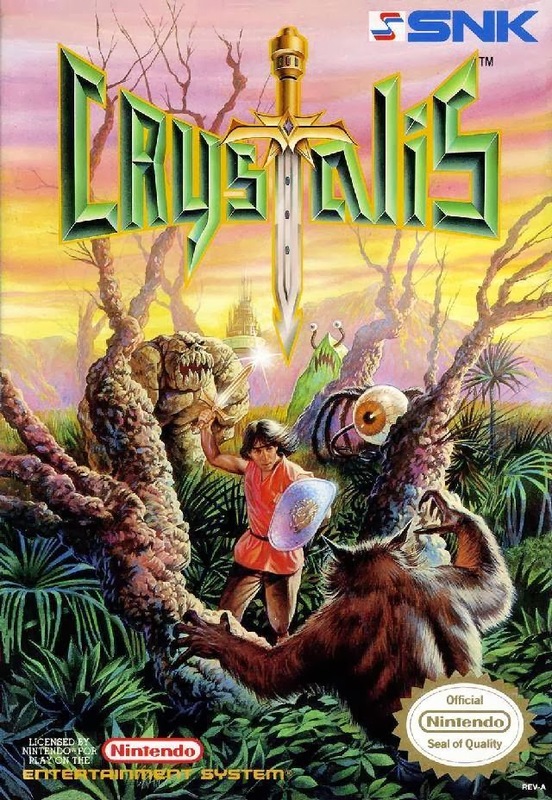 Crystalis was an NES action RPG made by SNK, better known for their work on series like Metal Slug, Fatal Fury, and King of Fighters. There's some similarities in control to The Legend of Zelda, but while Zelda had combat and puzzles as its focus, Crystalis was more combat-driven. The music of Crystalis is some of the NES' finest, really pushing the sound card of the system.